In coming years, packaging industry is anticipated to witness a significant evolution on the heels of increasing applications of digital printing. The Digital printing is one of the important printing technologies for packaging and labeling, which has been marked among industrialists who considerably prefer quick-turnaround capability offering digital printing. Additionally, digitally printed packages improve workflow; enable innovative marketing, and helps in quicker marketing. Recent evolution in the digital printing approach for digital carton creasing, carton cutting and other finishing technologies has broadened the scope of the application in corrugated packaging, folding cartons and flexible packaging. Digital printing is transformational packaging by propagating custom variations that provides products on-shelf differentiation. Packaging contents such as cartons, labels and corrugated boxes have perceived significant commercialization and are pose to draw positive impact on consumers. Several existing trends in digital printing packaging market include customized caps which open up colorful choices among industrialists, thereby positively impacting consumer choice. The global digital printing packaging market is perceived to maintain a constant CAGR during the forecast period and is anticipated to exist at a significant level. Significant growth in gross domestic product especially in Asia Pacific region exhibits significant cup fill and seal machine market. The Global Cup Fill and Seal Machine market is studied for the Asia Pacific (China, Japan, India and rest of Asia Pacific), North America (the U.S.,Mexico, and Canada), Europe (the U.K, Germany) and Rest of the World. Significant growth opportunities is offered by developing economies such as India, China, Indonesia, Malaysia, Brazil and Algeria manifest significant growth in digital printing packaging industry. The increase in the per capita and disposable income in the region manifests significant growth the industry due to increasing demand of several packaged products. Digital printing packaging technology delineates cost effective ways attract the target market. The rise in the number of middle and small scale industry in the region manifests significant growth in digital printing packaging market due to the demand of standard product is increasing in Asia and African region. 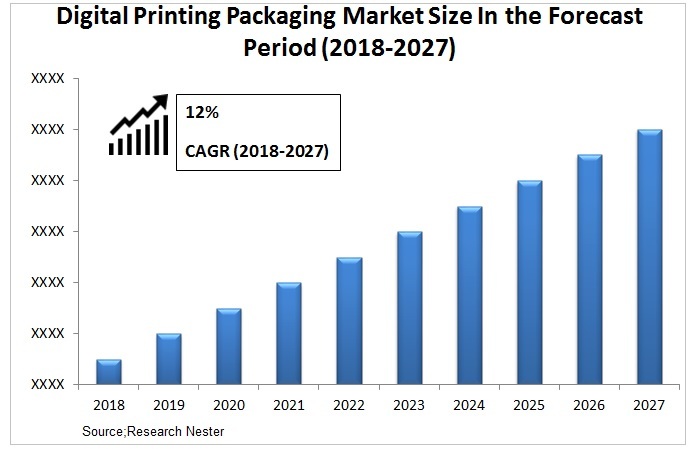 The higher investment in research and development of packaging industry is also responsible for the growth of digital printing packaging market globally. The higher price of digital printing packaging ensue the unaffordability among the MSME industry on the account of limited budget. The small and medium enterprises evince limited budget especially in Asia-Pacific region and is hindering the growth of digital printing packaging market. On the basis of regional analysis, global digital printing packaging market is segmented into five major regions including North America, Europe, Asia Pacific, Latin America and Middle East & Africa region. Asia Pacific digital printing packaging market is projected to exist as the leading market with the estimated market share at noteworthy level. The increasing GDP and cumulative prevalence of packaged products signifies notable surge of proper packaged products. Europe is accumulated to exist as the second leading market across the globe while significantly contributing to the global digital printing packaging market, owing to the demand from food & beverage industry. North America, is expected to witness steady growth over the forecast period on the account of constant growth of per capita income in U.S. and Canada. In Latin America, Brazil and Chile are projected to witness significant market demand for organizations involved in digital printing packaging market.